Phillips Colon Health is a unique probiotic supplement that allows you to be flexible regarding when and where you take it! What I like about this product specifically was that, unlike many probiotics on the market, this supplement does not require any refrigeration before or after opening! I also like that you only need to take 1, pretty small, capsule a day (nice and easy!) 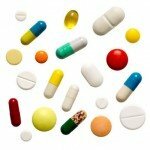 The supplement is supposedly even safe for children over 3 years of age. What I don’t like so much is the fact that it’s not as allergy friendly as some other probiotics. It doesn’t specifically say that it contains ingredients such as milk, wheat, or soy but it also doesn’t guarantee that it doesn’t. I had some stomach pains while first taking the probiotic, but thankfully they subsided after a few days and then I felt great for the remainder of the time I tried it. All in all, I like Phillips Colon Health. It’s a versatile daily probiotic that is travel-friendly, quick and easy to take, and after the initial side effects, had me feeling pretty good! 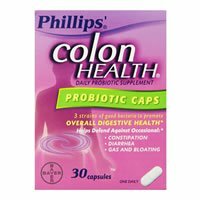 Phillips Colon Health contains 3 different strains of probiotics. Although higher strain probiotics seem to offer more bang for your buck, this one contains some of the most scientifically studied bacteria in regards to colon health! 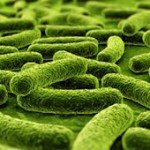 Of note, Lactobacillus acidophilus has been shown to help defend against diarrhea. This can range from travelers’ diarrhea, diarrhea caused by antibiotics, Inflammatory Bowel Disease or children experiencing diarrhea. This probiotic may be a great match for these areas because it can be easily accessible and thrown into a purse or suitcase and it’s safe for children over the ages of 3 to take. This probiotic also contains Bifidobacterium longum, which may help alleviate constipation, gas, and bloating. As a plus, it may support a healthy immune system! Phillips Colon Health seems like a good staple to have around when traveling either on your own or with kids, because it may help defend against diarrhea, constipation, and support overall digestive health. The allergy concerns in Phillips Colon Health may be an issue. The label says it doesn’t contain gluten, but on their website it states they cannot guarantee the product is 100% gluten-free because it’s manufactured with other products that contain gluten. The product also does not specify whether it’s free of major allergens such as milk, soy, wheat, eggs or fish. Other ingredients include: Potato Starch, Gelatin, and Silicon Dioxide. 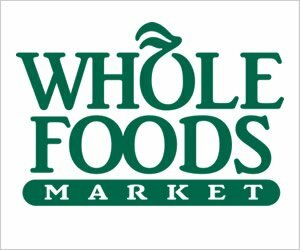 If you have food allergies, I may suggest looking for an alternative product that is more allergen conscious. At $0.33 a day, Phillips Colon Health comes in below the average price for a probiotic supplement. While first taking this supplement, I did notice stomach pain. This is a common side effect for probiotics. Thankfully, the side effects cleared in only 2-3 days and after that I felt great. One thing to keep in mind is that this product should be taken with a meal. 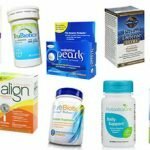 Phillips Colon Health does not seem to provide any guarantee according to its website. This is a bummer, but guarantees on probiotics seem to be less and less frequent these days. If you do buy this product from Amazon however, they do offer a 30-day return policy. To buy Phillips’ Colon Health, click here.